I’m a sucker for history. Throw in a romantic twist or an unsolved mystery and I’m hooked. This is why I love visiting places with a great story to tell. If you’re equally intrigued by myth and legend then why not update your travel plans to include these extraordinary places to visit in England? Folklore has it that this ancient castle on an exposed Cornish headland was the birth place of King Arthur. It certainly as all the ingredients for a location you could imagine being entwined with his legendary leader, with ruins of a fortress on top of the cliffs and a sea cave below where Merlin might be found. However, the timelines between myth and reality suggest it’s all just a wonderful bedtime story. Today you access the remains of Tintagel Castle by climbing a series of wooden steps embedded in the cliffs. It’s a bit of a trek with young children – push chairs are definitely a no-no – but the views at the top are amazing. Here you’ll also find the outlines of old trading houses, a church and a more modern statue dedicated to the legend of King Arthur. NB. Check the English Heritage website for open dates as the steps and bridges have been undergoing maintenance during the winter months. You might also be interested in more places of myth and legend in Cornwall or why not take a look at my guide to family holidays in Cornwall. Find out more about visiting Tintagel Castle. This world-renowned stone circle has been slowly revealing secrets of pre-historic Britain for more than 4,500 years. Why was it built and how the stones all arrived here in the middle of Salisbury Plain is still a bit fuzzy. But that’s all the better for getting young brains working on the conundrum. Your entry to Stonehenge includes the visitors centre and exhibition as well as a bus ride to the stone circle itself. However, you can walk there if you are feeling energetic. We opted for the bus when we visited during October half term as my girl’s wouldn’t have enjoyed the long, straight walk along the road. On the bus you also get a recorded introduction to what you are about to see. Our advice is to visit the stones early in the day for a less crowded experience and follow it up with a look around the exhibition which includes a fascinating 360 degree audio/visual recreation of the structure and plenty of facts about what is known about the site and the people who built it. If you have time to extend your visit to the area I have even more recommendations on things to do in Wiltshire with kids. Find out more about visiting Stonehenge. Another English destination linked to the legend of King Arthur is the historic city of Winchester in Hampshire. It was also once the capital of Wessex and the seat of King Alfred ‘The Great’. For more than 2,000 years people have lived in Winchester, which changed hands between the Romans, Anglo-Saxons, royalists and roundheads over and over again. It makes for a city oozing with history and legend. Sights of particular interest for youngsters on a quest for legendary places is the Great Hall. Here you’ll find a round table dating from Medieval times. The Hall itself is all that remains of Winchester Castle which was destroyed during the English Civil War. The table is not the one from the tales of King Arthur but was created during Henry VIII’s reign. It portrays Henry as King Arthur himself – a vanity piece, but am impressive one at that. Another local sight steeped in history is Winchester Cathedral. It is not the city’s original Cathedral but was built by William the Conquerer. Inside are the royal remains of King Cnut and William Rufus. Find out more reasons to visit Winchester with kids. The home of legendary hero Robin Hood, Sherwood Forest is now a country park with 450 acres of woodland, nature trails and walks to explore. There’s even an adventure playground, making this a great place to visit with children of all ages. While Robin Hood is a character that has spawned many tales and several Hollywood blockbusters, it’s unlikely he was a real person. However, it is fact that Sherwood was a royal hunting ground popular with the Norman kings, like King John, and that the road from York to London, which ran through the forest, was a haunt for robbers. One sight within the forest that is synonymous with the legend of Robin Hood is the Major Oak – a 800-year-old tree that first found fame in Victorian times when the forest become a tourist attraction. It is now a protected heritage site and a Site of Special Scientific Interest (SSSI). Find out more about visiting Sherwood Forest. Some of England’s most famous leaders in history, politics, the arts and science lay in rest at Westminster Abbey in London, including 17 monarchs. It has also been the venue for every royal coronation since 1066 and 16 royal weddings. There are facts aplenty for young visitors to soak up as you explore this UNESCO World Heritage Site which has stood since Medieval times. Big names who are either buried in the Abbey or commemorated here include Sir Stephen Hawking, Sir Issac Newton, Jane Austin, Charles Darwin and Robert Burns. It’s one enormous memorial to the keenest minds and performers on earth. Fans of The Greatest Showman will even find a bust of the angelic singer Jenny Lind in Poets Corner. Find out more about visiting Westminster Abbey. If memorials spark your interest then you might also be interested in seeing the world’s most visited gravesites. Some might surprise you! Disclosure: this is a sponsored post with SunLife. Images of Stonehenge (featured), round table, Robin Hood and Westminster Abbey sourced from Pixabay. 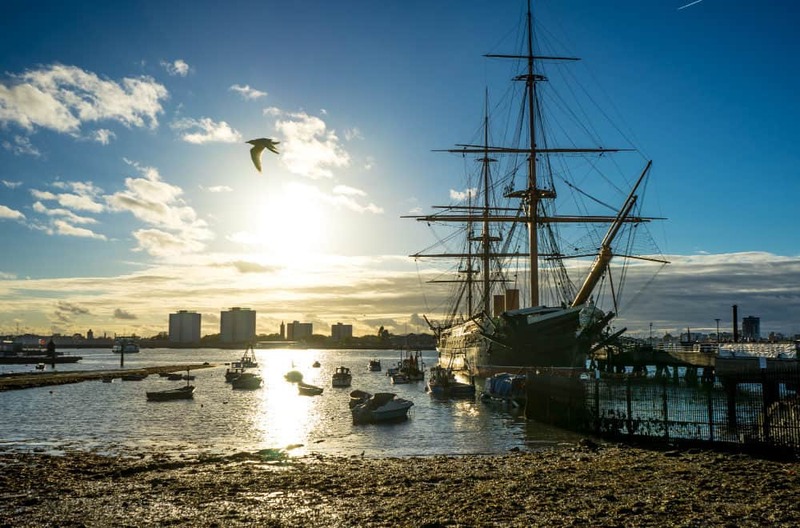 Why not pin this post about legendary places to visit in England for future reference? 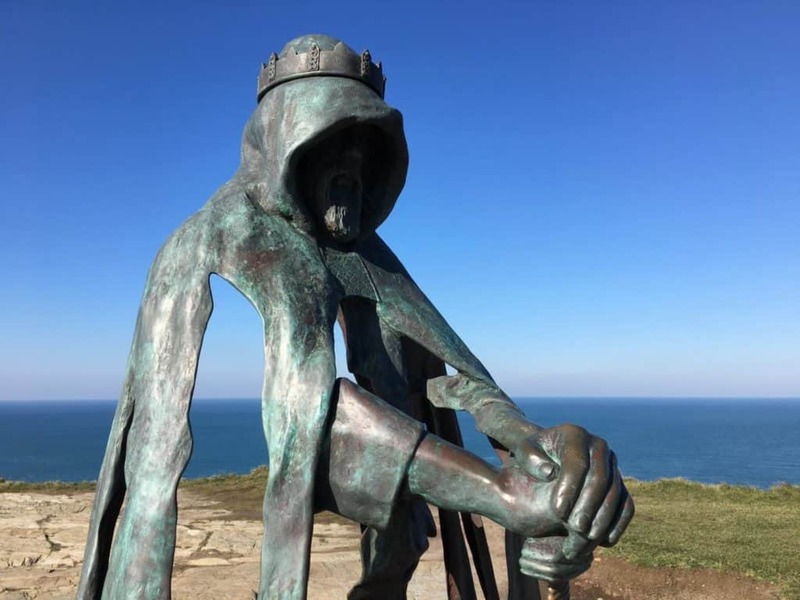 We have such amazing history in this county- Tintagel is one of my favourites.